Marquette is my hometown. I was born at Marquette General Hospital, was raised here and went to Marquette public schools, and I'm a proud lifelong resident of the City of Marquette. 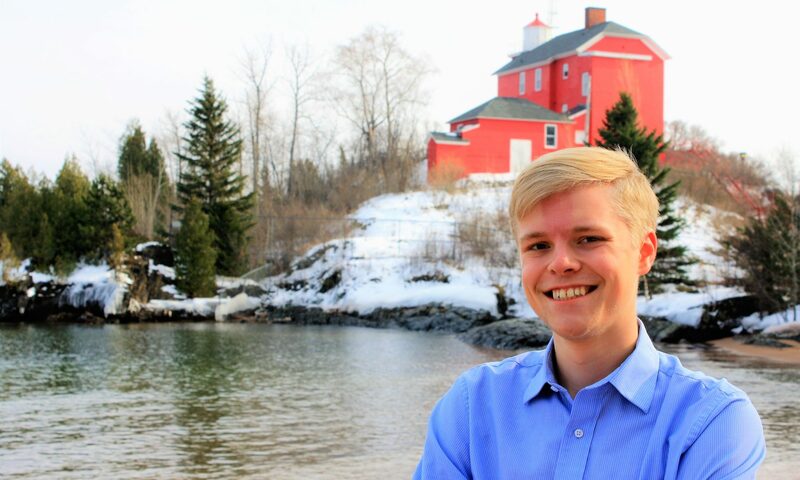 I’m running for the Marquette City Commission in 2019 because I plan on living in Marquette for the rest of my life, and I want to help make sure that our town remains a great place to live, work, and raise a family for many years to come. I'm sure that you can tell from the pictures above that I'm a little younger than your average City Commissioner - if elected, I'd be the only Commissioner under the age of 30. However, I am running now because I am convinced that the decisions we make as a city in the next 5 years will impact Marquette's future for the next 50 years, and my generation will have to live with the consequences of those decisions for the rest of our lives. A majority of Marquette residents are in their twenties and thirties, and this new generation deserves a seat at the table as we discuss Marquette's future. Young people and working families want to stay in Marquette, but rising housing costs and a lack of economic opportunity are increasingly forcing people like me, including many of my friends and family, to move out of the City or leave the U.P. entirely just to make ends meet. This doesn't just erode our local tax base - if left unchecked, it will drain our community of its economic and social vitality. We need to make sure that Marquette can grow without sacrificing the unique qualities - our public lakeshore, trails and parks, forestlands, our downtown, and an affordable cost of living - that make people want to live here in the first place. And our local government has a vital role to play in that effort. But I also want to hear what you think! Please reach out to me at 906-236-0247 or evan@evanbonsall.com. Also, if you want to learn more, please check out the rest of this website and follow me on Facebook. If I have your support already, thank you! If not, I hope to earn it in the coming year. We are accepting online donations through the secure, nonpartisan Crowdpac platform, which is used by thousands of campaigns across the country. Even $1 makes a difference for a small, local campaign like ours! Click here to donate! I need your help getting the word out about our campaign! Please follow this link to volunteer some of your time to make phone calls, knock on some doors in your neighborhood, deliver yard signs, etc. This button will take you to our online sign-up form. Learn how to register to vote in the City of Marquette by clicking this button! Sign up now to receive a union-made Evan Bonsall for City Commission yard sign made right here in Michigan! Signs will be delivered this summer.